Step 1 – Lie flat on the floor with your knees bent. Your feet should be flat on the ground. Then clasp your hands as fists like you are boxing. Step 2 – Crunch up and extend your arm towards your opposite knee. 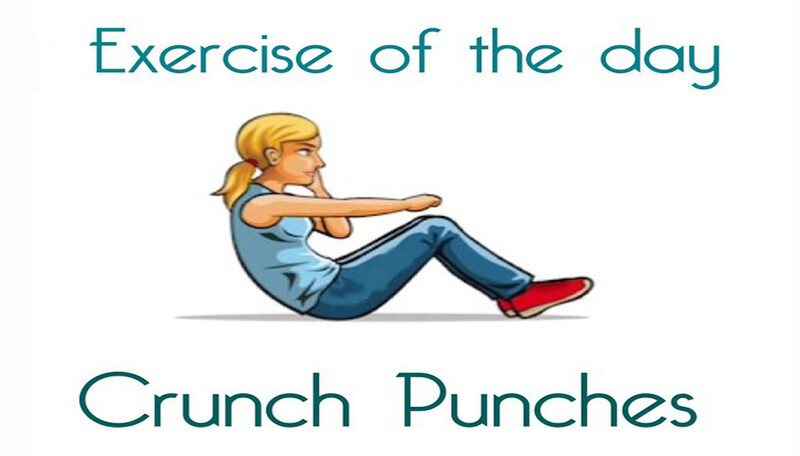 Return to the starting position and crunch punch over the other knee.